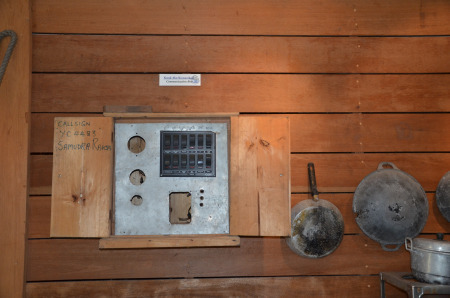 The Museum Volunteers hosted a talk by Ian Burnet on 25 January 2014 on his two books, Spice Islands and East Indies. Spices, native to islands in the Malay-Indonesian archipelago found their way to Africa, the Middle East, India and China through trade voyages made by the intrepid, sea-faring Indonesians. The earliest proof comes from the journey made by cloves from its homeland in the Maluka Islands in Eastern Indonesia to Syria where cloves buds dated to 1721 BC were found preserved in a ceramic jar in the ancient city of Terqa. One of the routes taken by these Malay-Indonesian traders was the direct sea-route from Indonesia to the island of Madagascar off Eastern Africa. The Malagasy people of Madagascar are descended from these Indonesian traders as shown by their language as well as DNA analysis which places their nearest living ancestors on the island of Kalimantan. 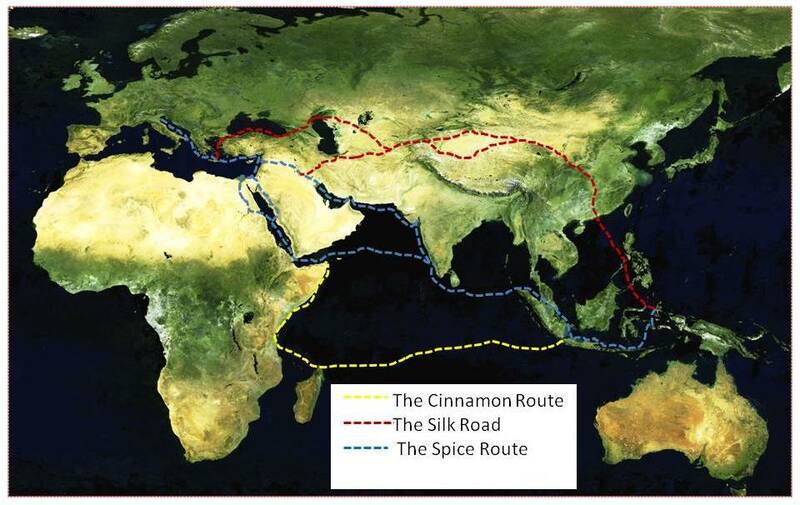 This ancient sea-route has been dubbed the ‘Cinnamon Route’ by modern researchers. Although the term is a bit of a misnomer as cinnamon is native to Sri Lanka and the correct term would have been ‘cassia’ which grows in South-east Asia, these journeys saw spices from the Indonesian islands reach Africa and the Middle East millennia ago. How did they make the journey across open seas? The Greeks have described Malay vessels plying the Indian Ocean as early as the first century AD. Further clues as to the design of the vessels comes from the five bas-reliefs of ships on the walls of Borobudur, a 9th century Buddhist monument. This design survived through the centuries as evidenced by Majapahit boats of the 14 century; a replica of which can be found at Muzium Negara. 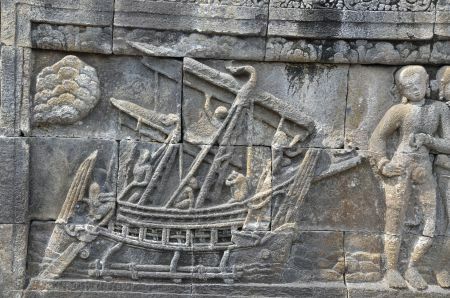 How best to determine if the ships on the bas-reliefs at Borobudur were really capable of making this open sea journey than by building an actual life-size ship and sailing it along the Cinnamon Route. This is exactly what Philip Beale did with the help of Indonesian shipwrights under the leadership of Assad Abdullah. The Samudra Raksa (Defender of the Seas) set sail from Jakarta on 15 August 2003 and reached Seychelles on 12 September 2003. From here, it sailed south passing the Comoros to Madagascar. The journey did not end at Madagascar and the ship sailed further south rounding the Cape of Good Hope to reach Cape Town on 5 January 2004. On 23 February 2004 Samudra Raksa reached Accra in Ghana and the journey terminated here. This journey led by Philip Beale not only showed that it was feasible for Borobudur ships to made open-sea voyages across the Indian Ocean from Indonesia to Africa but that there was also the possibility that these ships rounded the Cape of Good Hope to western Africa, making the Indonesian seafarers the first to achieve this feat. There is circumstantial evidence pointing to this by the presence of yams, taro, bananas and Asian rice in West Africa in the first millennium AD. The Samudra Raksa is now housed at the Borobudur Museum. This entry was posted in Uncategorized and tagged borobodur, borobodur vessel, east indies, ian burnet, muzium negara, philip beale, samudra raksa, spice islands, spices. Bookmark the permalink. Very interesting. 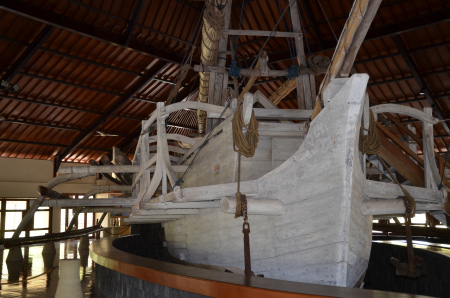 The Indonesians were amazing boat builders and sailors. I am always thrilled to learn about the wonderful spices and particularly about the many routes they took to reach Europe. I enjoyed both of the books by Ian and would recommend them to any reader about spices and their wonderful journeys. 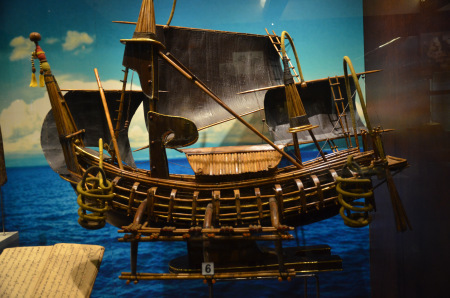 The Indonesians were clever to be able to built ocean sailing boats and for the journeys they took.